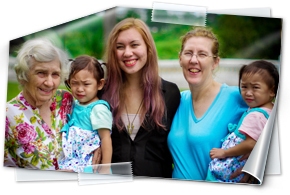 We are incredibly blessed to have our amazing Thai staff who have been serving with us for many years. They have consistently dedicated their time, energy and love into everything they do - from maintenance to cooking to caring for our kids. They need your support so that they can continue to serve in their work at Home of the Open Heart. 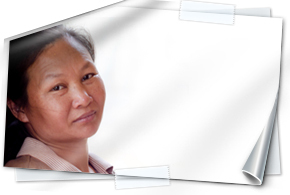 Most of our staff are not fully sponsored, and need an additional $150 to $200 per month. This is their full time job, and they are some of the hardest working people I know. Please consider giving on a monthly basis to these incredible servant-hearted people! We could not do what we do here in Northern Thailand without them, and we are truly blessed to have them as our fellow workers. 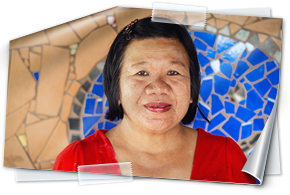 Caring for people with HIV/AIDS is a huge party of Penny’s heart. This began before she moved to Thailand in 1999, but since then has grown and become even more of a passion. Knowing what it feels like to have a life threatening disease (she has had cancer four times), she embraces her task to assist people with/affected by HIV with daily passion. Supported wholeheartedly by her husband, Paul, whose major focus is in the area of training and developing leaders, they began to have babies and little children join their family (they have 4 birth children) in December 2000. After completing high school, their birth children relocated back to Australia. As the years have gone by, they have developed a team of people around them who have helped support Penny’s dream and passion, and have seen it become a reality. Many amazing and selfless people serve along with Paul and Penny, with their whole hearts seeking to bring joy into the lives of children and adults who are affected by HIV. Paul and Penny don’t do this because they are strong, but because it is what God has given them the strength to do; it is God’s heart to care for the sick, to pray for them, to teach them, and to love them. Penny’s life motto is to live without regrets. 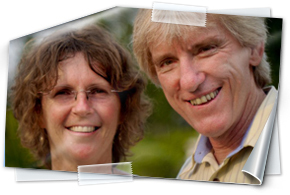 As this couple’s has been on a sabbatical, it would be wonderful as you click here to hear about what they are up to! 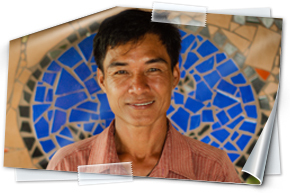 Narong has been serving at Home of the Open Heart since 2004. He is our groundsman, and he helps with repairing equipment as well as working with teams doing building projects. He is married and lives with his wife, son, and daughter in a Karen village about 30 minutes away from Home of the Open Heart. He enjoys being part of the family here and we are blessed by his servant heart and incredible work ethic. Kak is our wonderful accountant here at Home of the Open Heart. Paul and Penny became friends with Kak through the church they attended, and asked her if she would consider coming on staff with us. She has been with us since November 2006, and she keeps the books in better order than anyone else we’ve met and is an absolute asset to our office and ministry! She blesses us, both with her incredible accounting skills and her bright, friendly personality. She is married and has two gorgeous, little boys. Supun has been serving at Home of the Open Heart since 2006. She does housework and laundry, as well as occasional babysitting, and is always willing to help with babies who need a hug and some TLC. 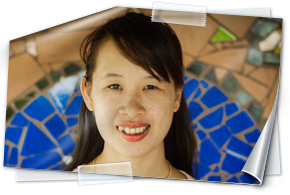 Supun is a huge asset to our team, she works tirelessly and with a great attitude. She has been married since she was 20 years old, and now has 2 teenage children. Colleen and her husband, Aub, moved here from South Africa with their teenage daughter Rosie and Colleen’s mum Shirley in January 2009. Colleen’s nursing skills and Aub’s IT skills made them a great asset here at Home of the Open Heart. They have been taking care of premature twin girls who arrived at Home of the Open Heart in January 2012. The girls were very sick when they arrived and were not expected to live. They required round the clock nursing care and many hospital visits. With much love and care, the girls’ health improved and they are doing very well now. Sadly, in March 2013, Aub passed away several days after having bypass surgery. Colleen and Shirley, or Granny Shirley as she is affectionately known by us all, continue to look after the twins here at Home of the Open Heart. Ba Gun is a gifted cook, and her role currently includes cooking and cleaning. She has a heart for hospice care and had desired to serve in that capacity For a long while so now that our facility to open to patients she is spending most of her working days caring for others in that capacity – she nursed her brother when he was in end stage AIDS. She is a dedicated worker with a gentle spirit and servant heart.